create in the context of the indieweb refers to the act of and UI for creating a new post, in its simplest form, a new note. Related: creator, someone who is creating UI, design, code for their own site. Aaron Parecki is the creator of Quill. create a bookmark post on his site. Previously, Aaron's software included a creation interface. Old screenshots can be seen at p3k-v1. The circle-in-circle is for geolocation: clicking it on uses the browser geolocation API to set the location of the post. The tickbox for Twitter lets him decide whether to syndicate the post to Twitter or not. He then subsequently ~2014-10-01 added the ability to selectively (per post) toggle POSSEing to Twitter and/or Flickr (both default on). 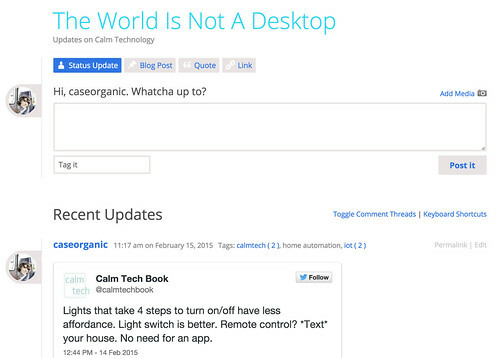 calmtechnology.com is a topic focused indieweb site by Amber Case that runs WordPress and P2. Note the simple one big text box with big "Post it" button as the focus of the UI, with minor optional elements to add media and tags, all inline above the most recent posts for context. gRegor Morrill posts notes using this interface. For more information, see his ongoing notes documentation. 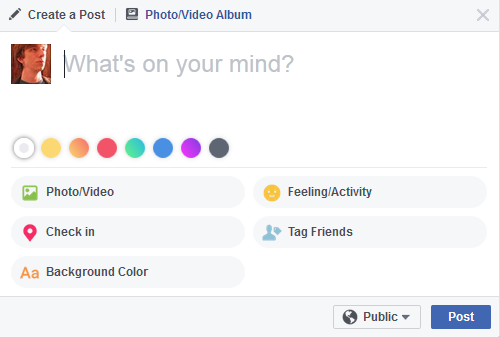 With "Status" chosen by default, and the prompting text: "What's on your mind?" 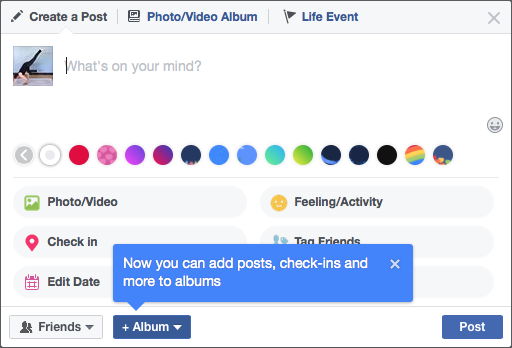 This is a big simplification from their past create UIs that had various post types explicitly differentiated in the UI like checkin, link/bookmark, etc. 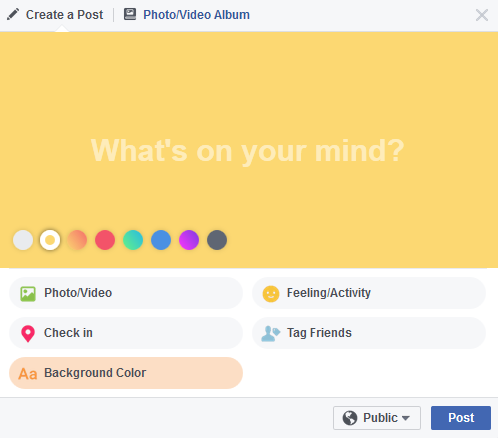 "Add photos to your post"
"Tag people in your post"
"Add what you're doing or how you're feeling"
"Set date and time of your post"
The text area has a variable text size that depends on how long the status update you are creating is. 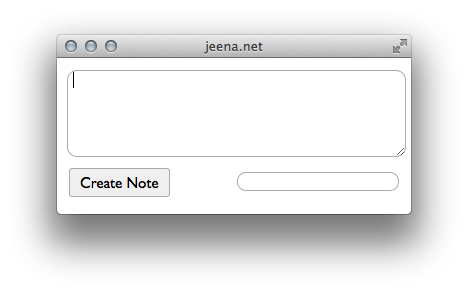 If you now reselect "Status" - it activates the text field, and shows the same status options as noted above. 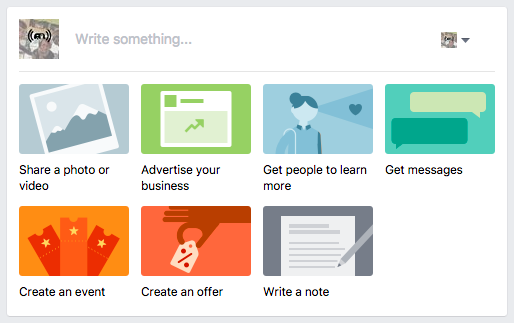 Noticeably absent from the above create UI is anything to do with creating events (the kind you invite people to). 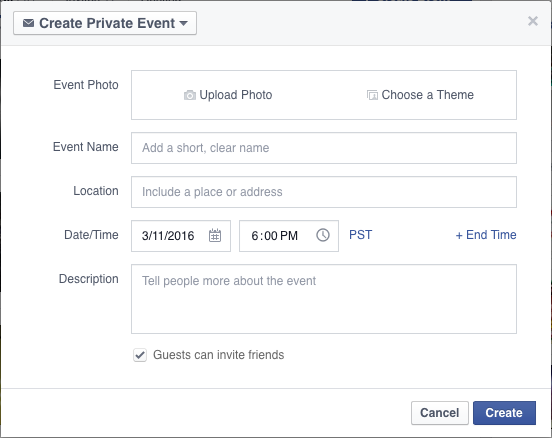 Event creation UI is only present contextually, when viewing your events or your calendar. After the initial event has been created, the edit event UI does include an option to select an existing photo. Read more on edit#Facebook_Events. Google Calendar has the ability to create an event from brief plain text like expressions like "Dinner tomorrow night" — need a citation / documentation of actual plain text expressions supported by Google Calendar. Amazon Reviews provides a UI to create reviews about products. It begins by prompting you to choose a star rating, and then progressively adds fields as you complete each step. post body, prompting with "Write here. Add images or a video for visual impact." Some of the above #IndieWeb_Examples have photo post creation UIs inline, typically as extensions to note creation UIs. This section is for brainstorming about photo-centric creation UIs. Brainstorming of UIs to create photo posts. See: photo upload for the process/challenges of uploading a photo to your server. user chooses photo to post. web app immediately starts uploading it to the server in the bg. user filters / crops the photo. web app captures the sequence of filter/crop instructions, and when the user is "done" editing, web app sends that instruction sequence to the server. user adds person-tags, text content (caption) etc. You could maintain the sequence of filter/crop instructions purely as CSS filter and crop (width, height, object-fit:cover, object-position) properties and values, using them to display the image clientside, and serve that CSS from the server to make people's browsers do that filtering/cropping for you so you don't have to actually use ImageMagick or other server-side image manipulation software. Actual amount of metadata required for correct microformats markup is minimal but often the number of file systems required by many OSS CMS solutions complicate the workflow. Having a writing UI that just accepted plain HTML and required the user to include microformats2 maybe a an attractive use case. Would need to know how much templating to include, top level h*? Martijn van der Ven’s posting UI: demoed at IWC Nürnberg. 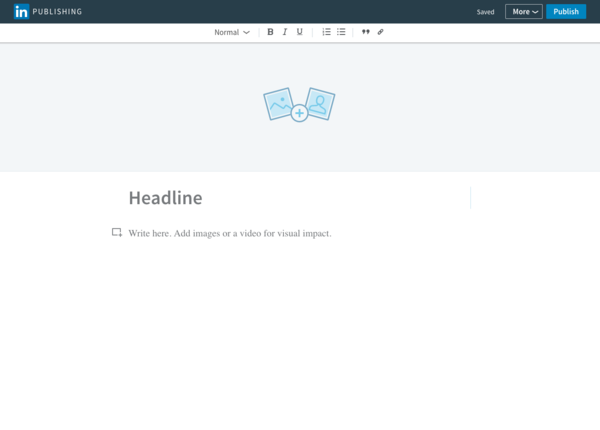 This page was last edited on 10 February 2019, at 13:42.